In a globalized market place there is an increasing need for European companies to develop sophisticated advertising strategies in order to increase their market share and compete successfully. Although this trend has been led by the private sector, it has had a knock-on effect on charities and non-government organisations (NGOs). To be effective, advertisements in both these sectors need to capture attention, be emotionally engaging and persuasive. One way that advertisements achieve these aims is through the use of verbal and visual metaphor. Metaphor is a highly noticeable, persuasive and powerful form of communication for a number of reasons. First, metaphor provokes mental images, which can be used to package and convey a large amount of information in an efficient manner. Second, metaphor allows indirect expression. Third, metaphor is a natural component of thought, and is thus evident beyond language. Intangible entities are often described metaphorically. For example, positive experiences are metaphorically ‘up’, and negative experiences are metaphorically ‘down’; emotional closeness can be construed as ‘warmth’ and emotional distance as ‘coldness’. Metaphor is thus ‘embodied’ and provides direct access to sensory-motor experiences. In other words, humans experience a ‘gut’ reaction to metaphor, which is not experienced with more literal forms of communication. Fourth, due to its embodied nature, metaphor has been shown to be more likely to provoke an emotional response than literal forms of expression2, and this is may help the recipient to develop a personal relationship with an advertisement3. Advertisements can contain a single metaphor in written or graphical format, or both (a combination is described as ‘multimodal metaphor’).Advertising as a genre arises as a fruitful space for multimodal metaphor production and scholarly study. 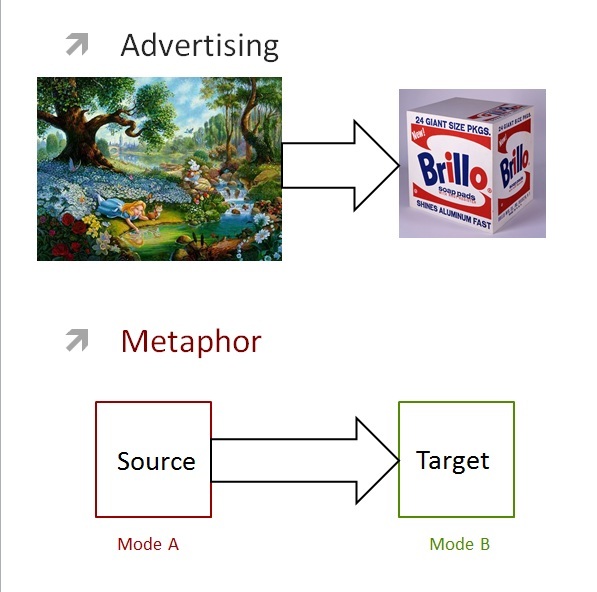 The inner logic of metaphor as a cognitive operation suits the specificities of advertising as a discursive genre: both consist in putting in correspondence two discrete domains (in the case of metaphor, the source and the target domain; in advertising, the product or service being advertised and the corresponding positive attributed values). 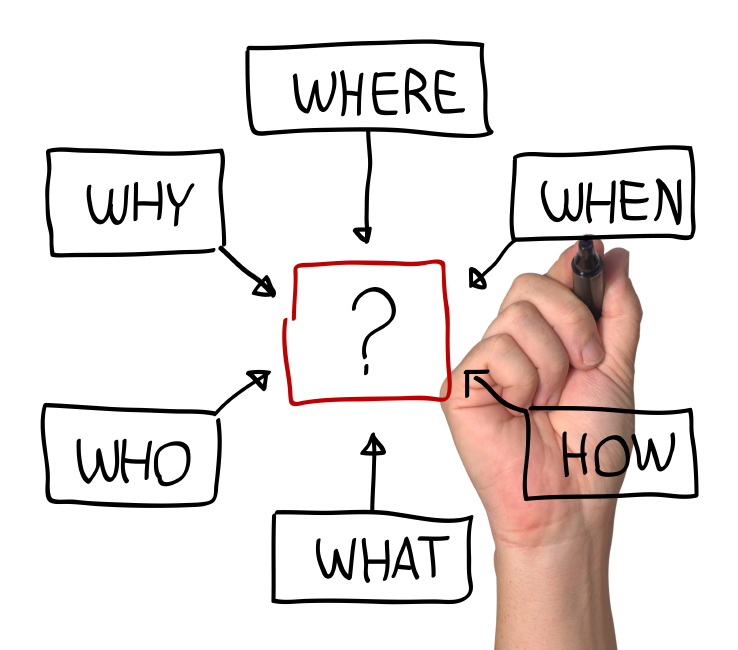 Metonymy is a cognitive and linguistic process whereby one term is used to refer to another related phenomenon. For example, the word ‘Hollywood’ can be used to refer to mainstream US films. Metaphor usually involves a comparison between unrelated entities (or entities that are construed as being unrelated in a particular context), whereas in metonymy the relationship between a term and its referent is closer. Domain expansion operations (of the PART-FOR-WHOLE type) are ubiquitous in advertising since they constitute a safe and economical point of access to a broader scenario, and can thus be regarded as epiphenomenal to this type of genre. In our view, this operation triggers an iceberg effect: any desirable and sufficiently representative feature present in the advertisement contributes a straightforward and almost effortless path to the elaboration of a positive image of the promoted product in the consumer’s mind. 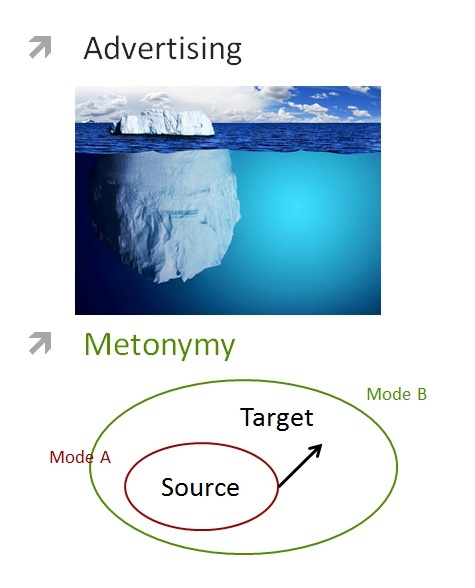 Other advertisements contain an interaction of metaphor and metonymy (combinations may include, but are not limited to, multimodal metonymy, multimodal multiple-source in target metonymy, metonymic complex, multimodal metaphor, multimodal metaphtonymy, and multimodal metaphoric amalgam). In Paula Perez-Sobrino’s PhD dissertation (2015) is argued that the persuasive power of the advertisement is expected to increase as the combination of metaphor and metonymy increases in complexity. Metaphor-metonymy combinations play an important role in advertising because they combine the ability of metonymy to supply a vantage point of access to advertisements and the ascription of desirable features from a positively-connoted domain to the product via metaphorical mapping. However, little is known about the depth to which audiences process metaphor and metonymy when they appear in multimodal format in advertisements, or how long it takes them to do so. Speed of processing is important, as advertisements often appear in locations where short viewing periods are natural, e.g., driving past billboards or browsing webpages with banner adverts. Moreover, it is not known whether this multimodal figurative information evokes positive or negative attitudes towards products. Prior work has suggested an affective response to metaphor in advertising advertising, but the direction, valence and type of emotion is yet to be fully explored in multimodal messages, e.g., whether a complex combination of metaphor and metonymy triggers a stronger emotional response than a single metaphor would, and which combination results in a greater appreciation of the advertisement by the viewer. when they are produced for online engagement. Metaphor in one language can result in difficulties for those whose native language differs. However, the degree to which this occurs in imagery and video advertisements is not yet established. There is likely to be a degree of cross-cultural variation in the amount of time required to understand the multimodal metaphors and metonymies, the ways in which they are understood, and their appeal. Moreover, although studies suggest differences between Western and Chinese participants in terms of the ways in which they respond to emotions as expressed through metaphor, this line of investigation has never been extended to the field of advertising. More specifically, EMMA involves an empirical investigation into the roles of emotion and linguistic / cultural background in facilitating these operations.